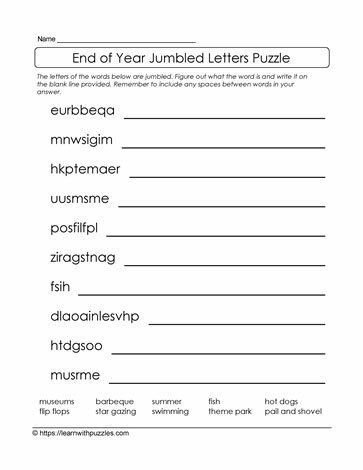 This end of school year jumbled letters puzzle has letter patterns that need to be unscrambled. Kids will enjoy solving the puzzles. As an added challenge, hide the word list to see who can be the first to unscramble the letters to form the words, or groups of words.